NO PETS ARE PERMITTED IN THE PARK DURING THE FESTIVAL! The nationally acclaimed Westmoreland Arts & Heritage Festival offers the best in visual and live performing arts, traditional and fine crafts, cultural heritage activities, humanities, and exciting ethnic foods providing something for everyone’s tastes and keeping people coming back year after year. An annual summer celebration, the free Festival takes places annually near the 4th of July holiday on Thursday, Friday, Saturday, and Sunday. Annual attendance is over 125,000. 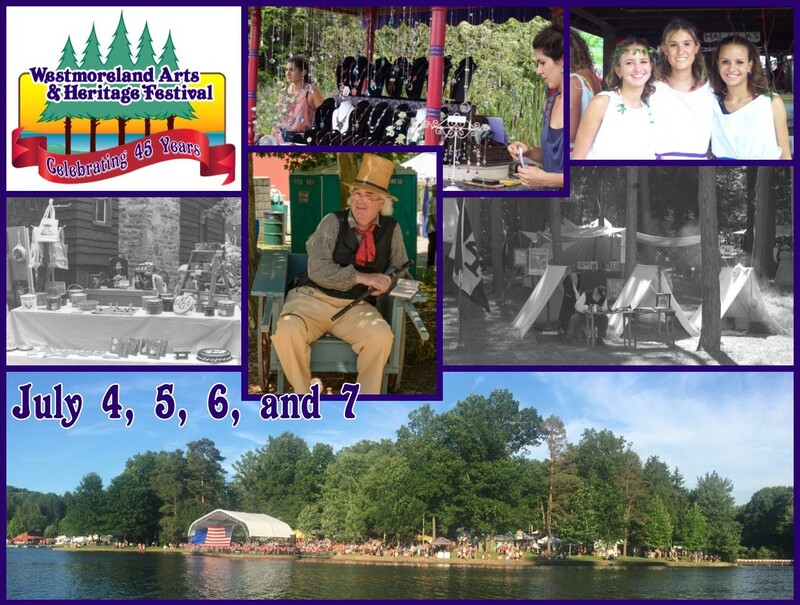 The mission of the Westmoreland Arts & Heritage Festival is to present exceptional visual arts, traditional crafts, educational activities, and live performing artists to enlighten, entertain, and enrich the community while preserving and demonstrating Pennsylvania’s historical and living cultural heritage. We are recognized as a non-profit, 501(c)(3) organization providing free entertainment as well as cultural and economic enrichment to our community. Feel free to explore the sections of our website for further details on each aspect of our Festival. The Mission of the Westmoreland Arts & Heritage Festival is to present exceptional visual arts, traditional crafts, educational activities and live performing artists to enlighten, entertain and enrich the community, while preserving and demonstrating Pennsylvania’s historical and living cultural heritage.